It is frustrating at times.....trying to show them the Occult** of whats going on. Sandy Hook...a random event....ya right! Sandy Hook and the Aurora shootings....just a coincidence the Batman movie links both....ya right. its not the only one by the way....there are several interlace positions. 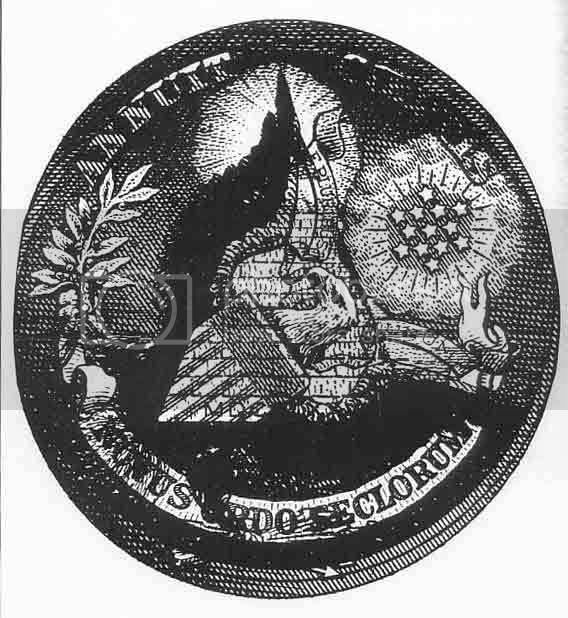 they think the latin on the Great seal means the US will be great,...and that greatness includes them and their prosperity. hows that greatness lookin now? and then ask why the Masonic rite chose those phrases out of the sections of Virgils works. Occult sacrifices precede significant events. events mimic/repeat an earlier event. a replay of the Train which Lenin rode across Europe to Russia in his rise to power. 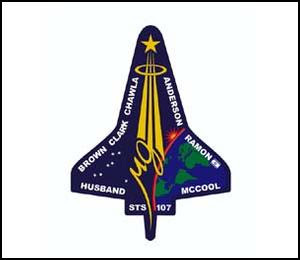 The destruction and sacrifice of Columbia STS 107 is scripted in this mission patch. It was intended....even though it appears to be an accident. the red arc is STS 107 burning up as it cross's the earths atmosphere. the falling star in the pattern.